More information coming at PAX in March. Image & Form Games has a new SteamWorld game confirmed for this year. Dubbed “SteamWorld Project 2017″ in a recent vlog, the developer said that more information would be revealed at PAX East in March. 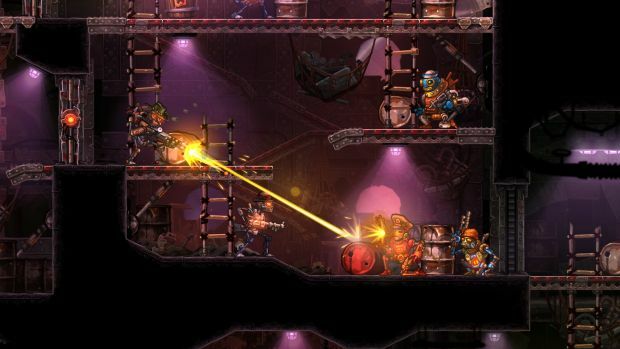 SteamWorld’s most recent iteration was SteamWorld Heist, a 2D side-scrolling tactical RPG with space pirate and robots. The game released on a variety of platforms like Nintendo 3DS, PC, Mac OS X, Linux, Wii U and iOS with favourable reviews from critics all around. That being said, previous titles in the franchise employed different mechanics. SteamWorld Tower Defense in 2010 was, as the name implies, a tower defense title while SteamWorld Dig in 2014 was a 2D platformer. All games have shared the same universe thus far. Which genre do you hope to see SteamWorld Project 2017 head in? Which platforms do you want to see it on? Let us know your thoughts in the comments below and stay tuned for more information.